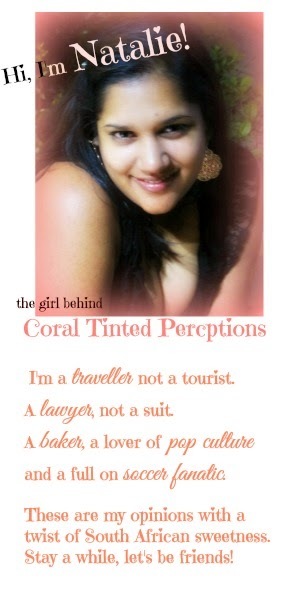 Coral Tinted Perceptions: The Script ~ Phillip Phillips in Concert! Last week I promised I would be back and then I went and disappeared again! Oops….! So I went to the Script and Phillip Phillips’ concert last week and I can easily say BEST CONCERT EVER! We went early and got into the front row which was so worth it! Guys, girls I cannot say this enough – this was such a ridiculously incredible experience! I’ve been to many concerts from Michael Jackson to Kelly Clarkson to Boyz to Men to Justin Bieber and I’ve never had such a great time before. As you should know I have a slight obsession with Ireland and the guys of The Script were exactly what my soul needed. 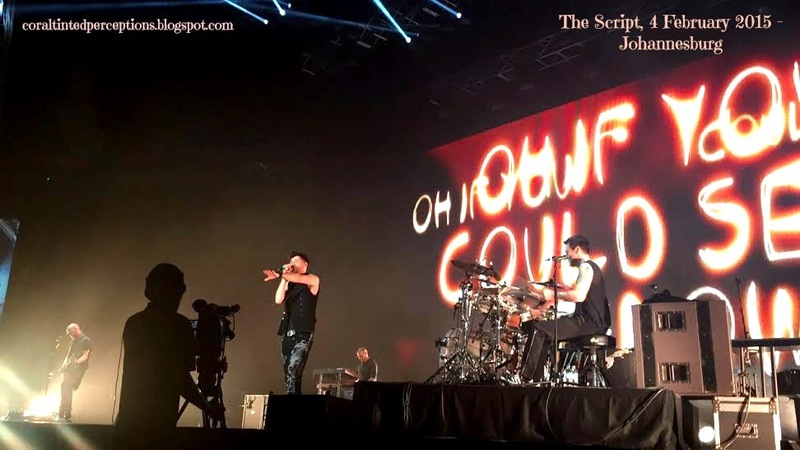 They were just pure raw passion, fun and in a crowd of 1000s … intimate! Before I jump into The Script’s review, I have to take a moment to say Phillip Phillips was AMAZING! I love his sound and to watch him on stage was invigorating! He was so into the music he just made you feel it! His set was only 30 minutes and believe me he could have played for hours and I would have watched with a HUGE smile on my face while screaming all the lyrics I knew out. And then he went and favourite my cousin’s tweet and that made me super excited because he literally went off stage and checked twitter. Love him! Can he come back please!!! So let’s get into The Script. Danny who is probably the one you know most from the group – was incredible he walked through the crowd he ended up right in front of us and his voice was just perfectly on point! When I attended their concert 4 years ago Danny got somewhat emotional from when the crowd sang “The Man Who Can’t Be Moved” and we did it again… he was speechless and that was suppppper cute. Mark is the guitarist and I would say he has changed most since their last concert. Previously he didn’t move around too much this time round he was definitely more comfortable on stage and he even walked down to where we were standing and gave my cousin his guitar pick after they performed “If You Could See Me Know” . Ummmm we were all stunned and then started screaming! 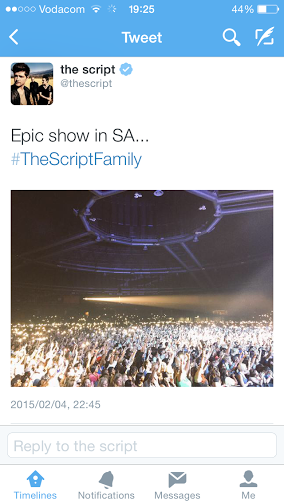 Glen who is the most active on The Script’s social pages is the most reserved on stage. He looks as though he enjoys the safety of his drums but when we called his name in between songs he smiled, waved and blew kisses back. Which artist is your favourite concert that you’ve attended? PS: Also and I’ve included a song to get your week going! So glad you had an amazing time Natalie! Good for you! Damnnnn Im so jelly, huge fan. I am so glad you had an amazing time.